Sam 'Pudge714' Greenwood passes $5 Million in online earnings this week. The #2 ranked player in the world, Sweden’s ‘lena900’, surged past $9 million in lifetime earnings this week after booking a win in the bwin.com High Roller for over $10,000. Perhaps what makes this milestone even more amazing that how much money it is, is how quickly he achieved it since his last major career badge. It was roughly three months ago that the former worldwide #1 ranked player surpassed $8 million and now he’s on the fast track to the rarified air of the $10+ million club. He’d been able to make massive strides in the past few months due to incredible performances in both 888poker’s XL Blizzard series as well as partypoker’s Powerfest. The one-two punch of performing well in both series with augmented prize pools helped push ‘lena900’ into the chase not only for $10 million, but also in a position to recapture the #1 ranking in the world. 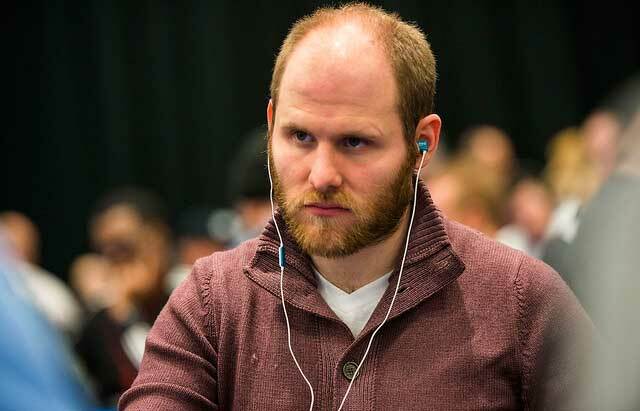 Canadian high-stakes player Sam ‘Pudge714’ Greenwood surpassed the $5 million lifetime earnings this week and rejoined the ranks of the top 100 in the world. After taking nearly two months off from the online grind to travel the high-roller circuit, including the PokerStars PCA and Aussie Millions series (and throw a little shade at the German contingency), Greenwood fired up his online client and put up a total of five results, two of which were runner-up finished on partypoker for more than $10,000 in total. The World Series of Poker bracelet winner hit the mark with a top 20 finish in the PokerStars Daily 500 on February 13 for $1,245 which was a part of over $18,000 earned for the week. While most players would marvel a week of that caliber, Greenwood spent the last month crushing the live scene racking up over $450,000 in cashes. Another superstar Swede hits a major milestone this week as former top 10 ranked player ‘DeathbyQuads’ sneaked past the $4 million mark. On February 15, he finished runner-up in the PokerStars $109 Bounty Builder for $6,792 which did the trick. ‘DeathbyQuads’ is currently ranked #34 in the world. Current top 10 superstar, Argentina’s Ramiro ‘rayastar’ Petrone soared past $3 million in lifetime earnings this week thanks to a runner up finish in the PokerStard $530 Bounty Builder for nearly $14,000. In addition to the milestone cash, Petrone climbed, yet again, in the Worldwide Rankings to #8, another career-high for the rising star. Joining Petrone in the $3 million club is Steve ‘betrthanphil’ Tripp, whose week was headlined by a victory in the PokerStars Bigger $33 for $4,475. Also Tom ‘Jabracada’ Hall from the UK surpassed $3 million thanks in part to a nice victory in the PokerStars Hotter $162 for just over $8,000. It’s the first PocketFives Triple Crown award for Lithuania’s ‘notmole1’ as the #383 ranked player was victorious in three different events on three different rated sites this week. The first of his victories came during the partypoker Daily Grind on February 10 for just over $2,000. He followed that up with a pair of wins over on Winamax, including a victory in the DERBY on February 11 for $4,449. Finally, he clinched the crown by taking down The Storm on PokerStars for over $3,000. ‘notmole1’s Triple Crown is the sixth of the calendar year. This week three of online poker’s current batch of stars made new marks in the rankings as Argentina’s Ramiro ‘rayastar’ Petrone continues to carve his way up the rankings, currently sitting at #8. Not too far behind him is Germany’s Gary ‘quiditbear’ Hasson who along with ‘Flat’ from Russia have both hit career-high rankings as they enter the Worldwide top 25. Three PocketFivers make their debut in the top 100 this week. ‘Clarkson’ from the UK rocketed up 36 positions to land at #94, while Canada’s ‘MATTHOLVIK’ used a victory in the PokerStars Bog $109 to assume the #97 rank. Joining them is ‘Storimos’ from Poland who makes his top 100 debut at #82.